BISMARCK, N.D. � The Navy's USS North Dakota submarine has returned from its first deployment. 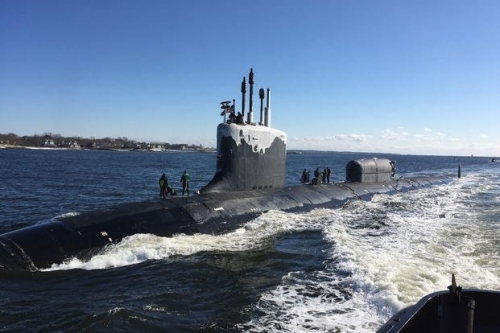 The military announced that the attack sub had returned to its homeport in Groton, Connecticut, after serving a six-month security mission in the European area. The $2.6 billion, 377-foot-long submarine is able to launch cruise missiles, deliver special forces and carry out surveillance. It's the first Navy vessel to carry the name North Dakota in a century. It was commissioned in 2014.